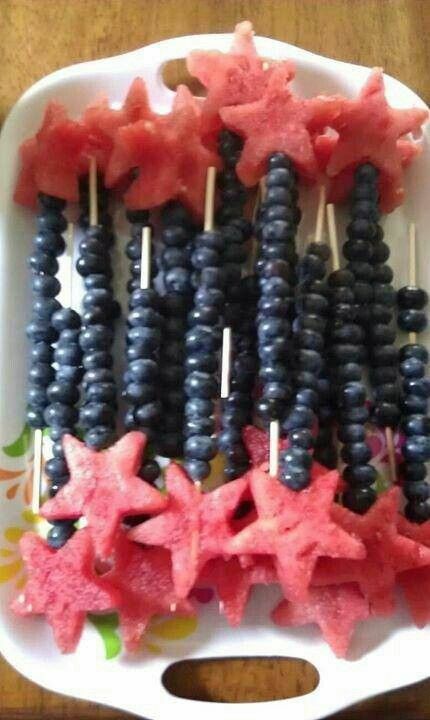 Skewers of food can make party planning easy and visually appealing. Image courtesy of Pinterest via Martha McCall. 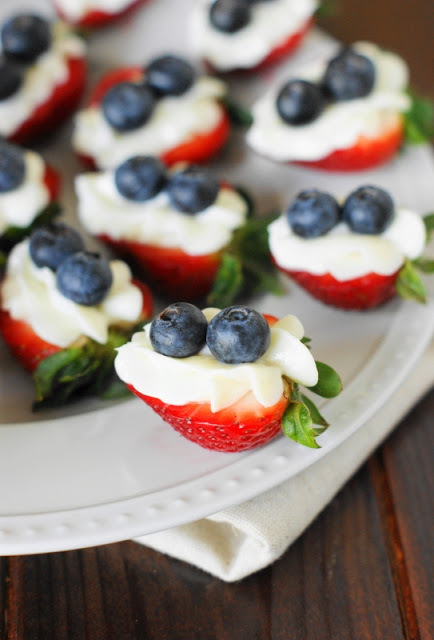 In order for party planners to have enough energy to stay awake for the fireworks, the execution of creating great foods should be simple, visually appealing, and of course, crowd-pleasing. This can be skewers of meat and veggies for the grill, appetizers of fruit and cheese, or anything else that can be jabbed with a stick.They can be laid upon a tray, poked into a cabbage head that has been leveled by slicing a piece off the bottom, Styrofoam, or in tumblers or glasses. For more info on skewer recipes see 50 skewer recipes by The Food Network.